100 Black Men of Long Island is a non-profit organization to improve the quality of life for African Americans Blacks in Nassau County and Suffolk County on Long Island, New York by mentoring, education, health, wellness and economic development. 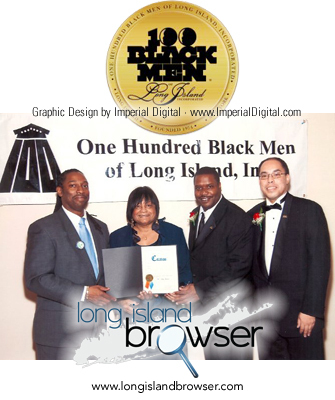 100 Black Men of Long Island, Inc. was established in 1974 and incorporated the same year as a non-profit organization. The purpose of the organization is to improve the quality of life in Nassau County and Suffolk County. The organization supports four for the future; mentoring, education, health, wellness and economic development. The membership of One Hundred Black Men of Long Island is composed of men who demonstrate excellence in a broad range of professional endeavors. Tags: 100 Black Men of Long Island, One Hundred Black Men of Long Island, OHBMLI, non-profit organization, African Americans, Blacks, mentoring, education, health, wellness and economic development, Nassau County, Suffolk County, Long Island, New York.